The Texas A&M University College of Engineering is one of the largest engineering schools in the country, ranking second in undergraduate enrollment and fifth in graduate enrollment by the American Society for Engineering Education (ASEE) in its 2015 survey. The college also ranked sixth in the number of bachelor's degrees awarded, 19th in master's degrees awarded and ninth in doctoral degrees awarded. And our college consistently ranks among the nation's top public undergraduate and graduate engineering programs, according to the U.S. News & World Report. Mechanical engineering is ranked seventh among top public undergraduate programs and ranked eighth among top public graduate programs, according to the U.S. News & World Report. The college of engineering is the largest college on the Texas A&M campus with more than 15,000 engineering students enrolled in our 14 departments. Texas A&M is ranked 11th nationally in the number of National Merit Scholars, and more than 60 percent of the university's National Merit Scholars are engineering students. Our mechanical engineering graduates are among the most highly recruited in the country. They typically receive two or more job offers with higher-than-average salaries at graduation. In fact, The Wall Street Journal ranked Texas A&M second in a 2010 survey in which large U.S. companies, nonprofits and government agencies rated schools on the basis of whose graduates were best prepared and most able to succeed. And our graduate students are highly sought after by industry, national laboratories and academia. Our faculty members represent diverse backgrounds and areas of expertise who share a common interest in mechanical engineering research and education. The department has six endowed chairs, 11 endowed professors, three University Distinguished Professors and four Regent Professors. Over the past several years, our faculty has served as principal investigators or co-investigators for over $25 million of externally funded research grants and contracts. Many of our faculty are nationally recognized for their contributions in research and their service to the profession, and they have received numerous honors and distinctions. Most of our faculty are members of the American Society of Mechanical Engineers (ASME), with many of them holding the rank of Fellow. They are also members of the American Society for Engineering Education (ASEE); the Institute of Electrical and Electronics Engineers (IEEE); the Society of Automotive Engineers (SAE); the American Institute of Aeronautics and Astronautics (AIAA); the American Society of Heating, Refrigeration and Air Conditioning Engineers (ASHRAE), as well as many others. Over half of our faculty are editors or on the editorial board of national and international society journals and publish in leading professional journals. Our faculty publishes widely and have received numerous prizes and teaching awards. Members of our faculty are leaders in the research fields of Thermal Sciences, Fluid and Solid Mechanics, Dynamics and Controls, Applied Physics, and Material Science and Engineering. The Department's research encompasses a wealth of mechanical engineering disciplines. The department houses both state-of-the-art turbomachinery and energy systems laboratories. 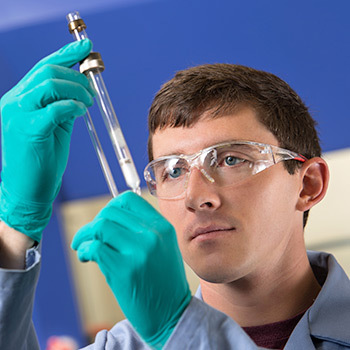 Active research efforts within the department are in the areas of polymers, crystalline materials, heat transfer, fluid mechanics, energy systems, combustion, mechanics, turbomachinery, and systems and controls. Federal, state, and industrial sources support the department's research. Federal funding sources include NSF, DOE, NASA, US NRC, EPA, ONR, U.S. Army,and AFOSR. Various industries sponsor their research through turbomachinery and polymers consortiums.